One of the most important lessons God has taught me in my 25 years of parenting, is the importance of being a living, example of grace to my children. As God has taught me about His grace, He has impressed on me that I need to show that same grace to my children. 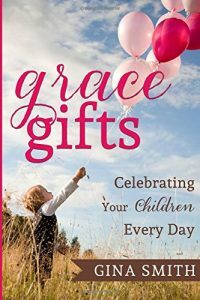 Grace Gifts: Celebrating Your Children Every Day is not just another book about “grace-based parenting”. 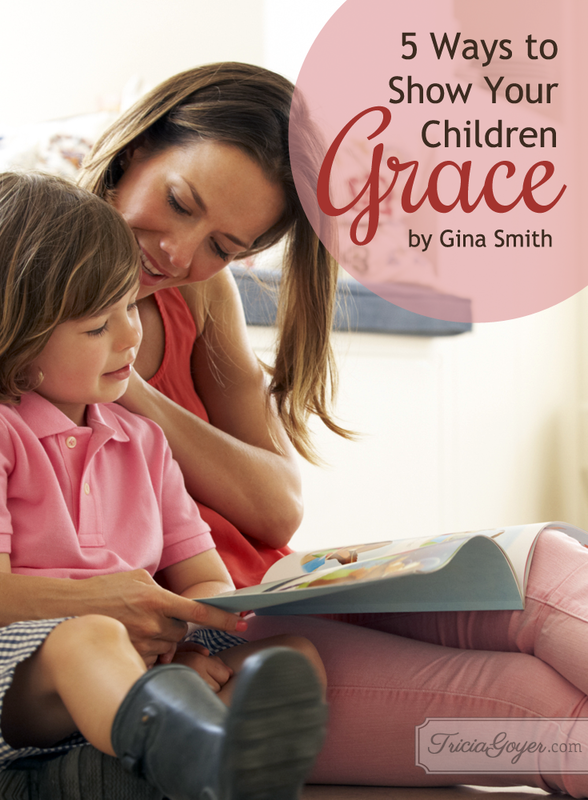 Grace Gifts is a short book, perfect for busy moms, and is filled with practical ways you can show your kids and their friends love and grace, and how that can be used to point them to God. Tune in to each child’s thoughts and feelings, reflecting back to them that they are valued, and seek to connect with them in any way possible. This is a way you can nurture your relationship with them. It requires time and concentrated effort on your part, and the way that connecting is accomplished over the years looks different with each season, but God give wisdom as we ask for it. It is easy for us to be in our own season, facing the trials we face as adults, and look at our children’s trials as insignificant. It’s important to remember that although we have moved beyond the season of childhood ourselves, our children are dealing with certain things for the first time. We must try to see our children’s trial through their eyes, and then enter into those trials with them, coming alongside to encourage and support them. There are so many ways in which we can celebrate our children’s friends, if we purpose to make this our goal. Discover fun and meaningful ways to pull their closest friends into the life of your family. In doing this we further the kingdom of God and minister grace gifts to both our children and their friends. There are so many fun ways we can bless our kids and bond with them as they grow up. Blessing our kids, by giving a small gift, a special outing, an unexpected privilege, or even just a warm hug when he has messed up in some way, are simple ways we can show them God’s grace. Tell them that we see them, we love them, and that we are here for them. As parents, we can be tempted to grasp for methods of parenting, when what we really need is principles. The principles found in Grace Gifts can be carried out a million different ways. They can actually custom-fit your particular family as you seek God and ask Him how He wants you to live this out with your children. I have been married for 27 years and hasve 2 young adult children. It is my greatest gift and privilege being a part of this little family that God has given me. I try to soak up every second I can with them. I am pretty sure my children have taught me much more than I will ever teach them! For the past 20+ years my husband and I have served on a Christian college campus as the on campus parents, and my husband was a professor and dean of students. We have lived on the campus, and have homeschooled, and raised both of our children here. My greatest desire is to fulfill the most important callings that God has given me – God follower, wife, mother, member of the body of Christ, and gospel proclaimer. I recently authored my first book “Grace Gifts: Celebrating Your Children Every Day”, and I write for Momlife Today/Family Life Ministries. 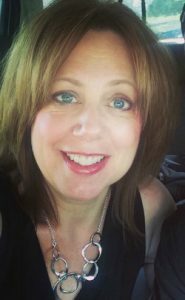 I have also written regularly for The MOB Society, The Busy Mom, and have been a guest writer for For The Family, The Better Mom, Timewarp Wife, and The Happy Housewife. Please be sure to visit me at my blog: reallifetitustwo.com, and you can now find me on Facebook. Thank you! Thank you! Tricia, thank you for allowing me to share my heart! I show grace to my child by always being there for her. I let her know that I love her and respect her by letting her pick out her own clothes, shoes, hairstyles, hobbies,and etc. I also let my daughter speak her own mind and I try to listen to what she has to say instead of interrupting her! I really liked this article! I would love to win one of these books! Thank you! I really need to show grace to my children better. I’m learning how to speak the truths of grace to them in everyday life. I am learning to tune into them and step into their trials. I really want to grow in this. I have always tried to show my daughter respwct. I try to listen to her viewpoints even as I need to discipline. I would love to read this book! This is an area of struggle in y life. This is an important lesson we can all learn. Even though my children are all grown, I still believe I need to show them the Grace and Love Christ has given to me. I would love to share this book with my grown children who are raising their families now. My greatest desire as a parent was for my children to know that they are loved by Jesus and me always. I make myself available to my children and grandchildren. I am interested in their lives and love spending time with them, hearing what they have to say.